Why Twitter Considers "The Wagnerian" "Dangerous"
The URL you reported does not appear to be blocked. I'm able to use this URL in a Tweet or profile without any errors. Please double-check that the URL you reported as being blocked is correct. Let me know if I can help you with anything else." Which would have made us feel as if we getting rather paranoid apart from the many emails that we received confirming others could not tweet from here or received the "danger" warning. We would continue to chase this up but frankly grew rather exasperated by trying to get it rectified in the first place. So, at least for now, normal service returns as normal. Oh, one thing though, if you attempt to contact twitter, twitter support, or either of its senior executive team by Twitter, don't bother. It seems none of them actually read their twitters. Somewhat appropriate oddly enough. Our editor explains that while the thought of being considered "dangerous" might be flattering, it is not always appreciated. For over 24 hours readers have been unable to tweet any articles from this site. On attempting to do so, they are meet with a message from Twitter informing them that www.the-wagnerian.com is a "dangerous and unsafe site". 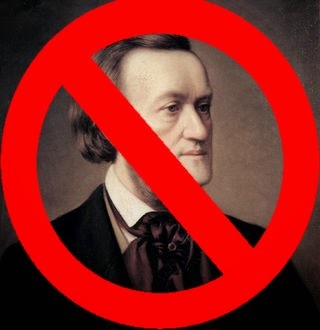 Oddly, this is the second time that a Wagner related site has been banned by Twitter. It was only a few weeks ago, noted Wagner scholar and author, Mark Berry's twitter account was removed completely by Twitter. Now happily reinstated, it appeared to be another of Twitter's automated systems "blunders"
Now I have to admit that during the course of history, many critics did indeed consider Wagner's music both "dangerous" and even"scandalous" - and as much as I am sure it might in someway please RW's sense of humour - we like to think that while somewhat "idiosyncratic" we are far from "dangerous"
Twitter has systems that blocks (sic) the posting of suspected harmful URLs in order to make Twitter safer and more secure for our users. If you see a warning about malware or spam when attempting to send a Tweet with a URL, this means the URL may have been flagged by our systems as potentially harmful. Even if Google's diagnostic report of the URL is clean, we may decide to continue blocking the URL on Twitter as potentially harmful. While the first paragraph is logical enough - although why twitter does not also refer to google diagnostics before blocking a site is somewhat of a mystery - the second gave us cause for concern: Even if Google's diagnostic report of the URL is clean, we may decide to continue blocking the URL on Twitter as potentially harmful.! What, might one ask,would Twitter consider "unsafe" and might this be a blanket policy to block any site the company chooses? One must wonder. However, errors do occur, especially with automated systems, and I can easily understand such a thing. What is unforgivable, is the certainty with which Tweeter is informing readers - on this site - that "The Wagnerian" is unsafe - without any evidence for it! It must surely make any commercial or artistic entity , with the negative consequences having their site labelled as "unsafe" might have, think twice about maintaining a Twitter account. As a none profit, it makes little difference to us - although needlessly worrying our readers is a great concern - for an artist, group of artists or entity that uses Twitter to help promote their work or business, the matter is very different. We shall await Twitters response. In the meantime, we would like to assure our readers that they are at no risk visiting "The Wagnerian. Anyone concerned, can follow the instructions above or click this link to google analytics which will give a detailed report on how "dangerous" or "safe" the Wagnerian is both now and in the past. Before concluding, I would like to thank the many people who contacted twitter or tweeted at them in support of our very odd plight. It was very much appreciated and unexpected. Thank you.